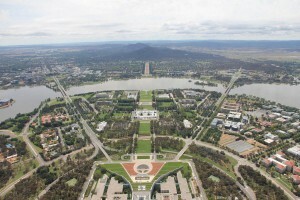 Political uncertainty destabilises the Canberra property market. The federal election has been and gone, but has it had an effect on the housing market in the ACT? The federal election was held at the beginning of July, and as is often the case, the local property market in Canberra stagnated during the election period. While there were always fears that holding the election in the middle of winter could mean a further slowdown in the property market, with interest rates at a historic low it was hoped that mortgage affordability would inspire buyers into action. But has that actually been the case, or have buyers in Canberra been as cautious as ever? Interest rates are as affordable as they’ve been in decades, but that has not helped motivate first home buyers in Canberra, according to Domain chief economist Andrew Wilson. “Even though the ACT has among the highest income of any of the capitals, the trend is towards declining affordability,” he says. As a result, many young people feel trapped in the rental market as a changing government creates instability in the workforce and tenants are unwilling to commit to a mortgage when they’re unsure of the permanency of their jobs. More broadly, the Canberra property market hasn’t fared too well in the last half-decade, especially when compared to Sydney property market and Melbourne property market. In the most recent five-year period, Canberra property values rose by only 9%, according to CoreLogic. Michael Yardney, director of Metropole Property Strategists, says that in actual inflation-adjusted terms property prices rose by just 3.5% between December 2010 and December 2015, which doesn’t exactly inspire investors with confidence. With both homeowners and investors reluctant to buy, another potential negative has reared its ugly head in Canberra: fears of an oversupply. With Canberra facing the possibility of oversupply in the inner-city unit market, there are suggestions that the government may need to consider cutting down on approvals of apartment building projects, which are at a record high. However, other industry experts are countering that the oversupply in ACT is not as bad as in other states. “Canberra’s biggest problem is there’s a continuing downturn in the number of houses being built, and this is offset by apartments,” Wilson says. 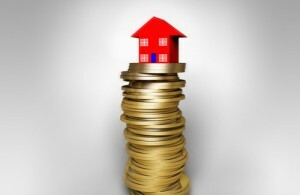 CoreLogic data shows positive cash flow in only seven suburbs. Of these, only the unit market in MacGregor recorded growth in the past 12 months. On the flip side, the highest-growth housing market, Turner, has one of the most negative cash flows in the state. This suggests capital growth in the ACT comes at a risk of cash flow losses.